"How to Get Fresh Prospects to Talk to TODAY about YOUR Opportunity, Get Sales & Sign-Ups, and Even Make Money From the 90% Who Say No!" 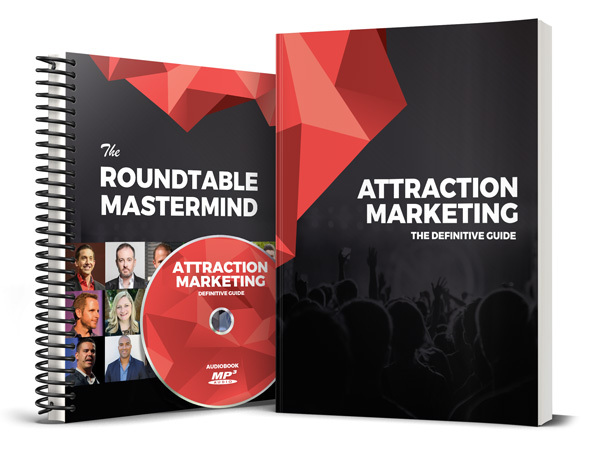 This 'Ultimate Attraction Marketing Bundle' includes... 68-page 'all inclusive' E-Book 82-minute mp3 Audiobook Roundtable Mastermind with 20 Top Earners. YES, I Want Results NOW! YES! I do not have an MLSP account, and I want to try (for FREE) the proven MLSP Attraction Marketing Platform for 14 Days... FREE! 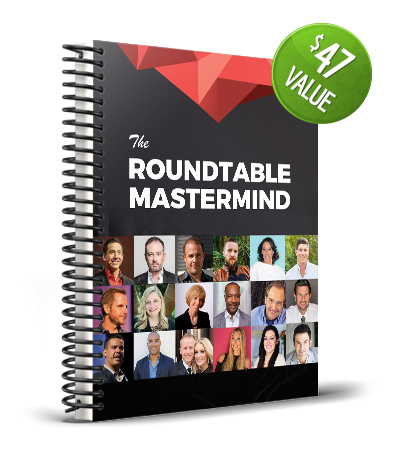 YES, I Am Ready to leverage the All-in-1 SYSTEM top earners use today to Attract Prospects, Customers, and Reps into MY Opportunity! (This is completely OPTIONAL). If you had an MLSP account in the past, and your account became "INACTIVE" more than 30 days ago, you can check the red box above to "RE-ACTIVATE" Your Old MLSP Account for FREE for 30 Days! YES, you get MLSP 100% Risk-Free when you check the red box above, and buy now. A LOT has changed inside MLSP since you left... come see the NEW MLSP for FREE, and let us help you build your empire. $47 $1 FOR A LIMITED TIME! 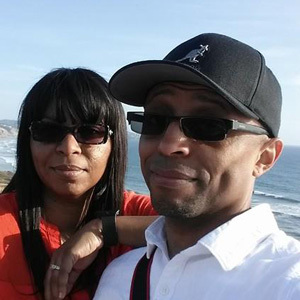 "Before Attraction Marketing, I struggled my first 18 years and made $20. Over the past 2 years, thanks to Attraction Marketing, I was able to buy a brand new Mercedes, and I'm standing in front of my brand new home we built from the ground up. I'm able to live in my dream home with my family, and it's just a beautiful beautiful thing. Your lifestyle can literally change overnight because of Attraction Marketing." 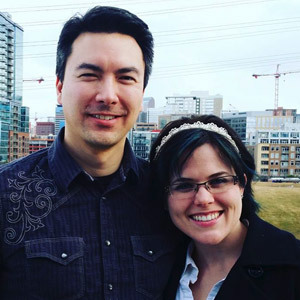 "Before Attraction Marketing we spent thousands of dollars on purchasing leads and cold-calling realtors, and wound up $10,000-20,000 into debt. After Attraction Marketing within a few months I was able to retire from my 6-figure job. We now generate leads 24x7, these leads are delighted to hear from us, and our kids will never have to have their parents outside of the home. Attraction Marketing changed our lives, and the lives of our children forever." 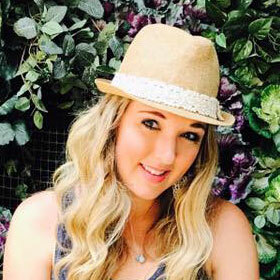 "After 12 years of struggle I finally found Attraction Marketing... And I learned how to bring people towards me, get them to know like and trust me, and get them to buy from me! I don't know where my business would be today without Attraction Marketing." "Before Attraction Marketing we never generated many leads or made much money... we used to bug family, chase friends, and put flyers on cars. We were always going after people trying to convince them, and it never worked. After Attraction Marketing we now have built a brand, people flock to us, and we have become the hunted instead of the hunter." 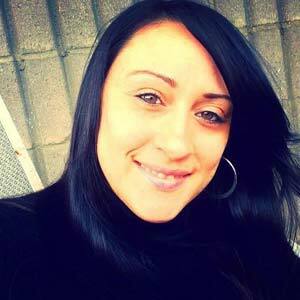 "My first 4 months in business I made a total of $300. And then I found Attraction Marketing, and my business absolutely exploded. I now have the life I want to live, I travel wherever I want to go, and I continue to build my business." 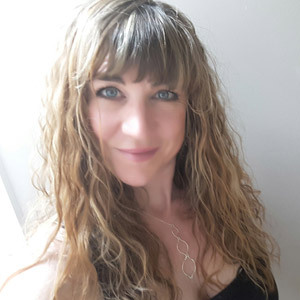 "Before Attraction Marketing it was very difficult for me to get people to look at my presentation, connect with people to get sign-ups. 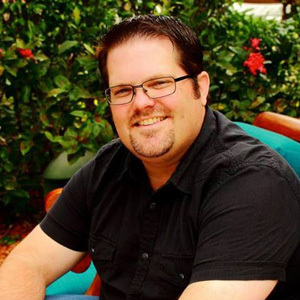 I was tired of not using leveraged activities, and tired of having to chase people... And fast forward to today Ive built a multiple 6-figure per year business, I've got a coaching business, I create my own products, and I've recruited over 1,200 people personally all because of Attraction Marketing. 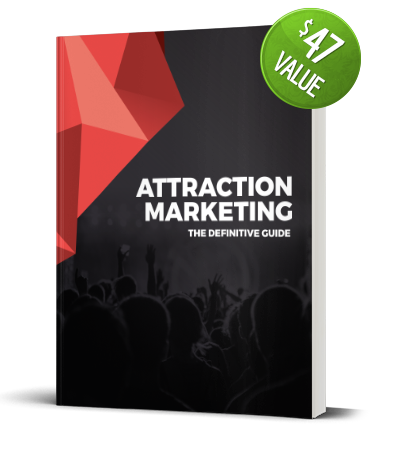 Do whatever you need to do to put Attraction Marketing to work in your business!" YES! I WANT THE NO-BRAINER IRRESISTIBLE DEAL! YES, I Want Instant Access for $1! 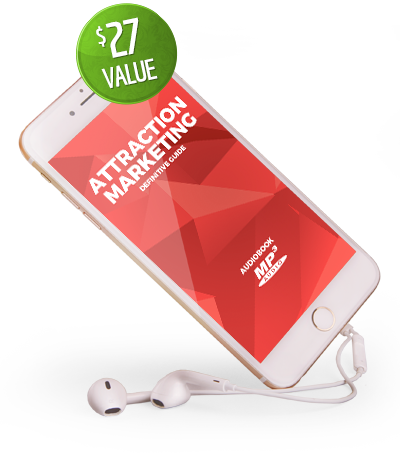 Get the 'Ultimate Attraction Marketing Bundle' today for ONLY $1!